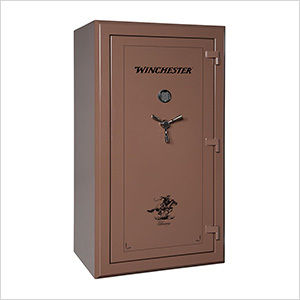 The beveled edge Treasury gun safe series includes a reconfigurable upgraded pindot fabric interior to fit your storage needs. Features adjustable shelving system and easy-access barrel racks with auxiliary shelves for interior customization to fit your storage needs. Deluxe Door Panel Organizer provides quick access to handguns and safe storage of accessories, documents and more.